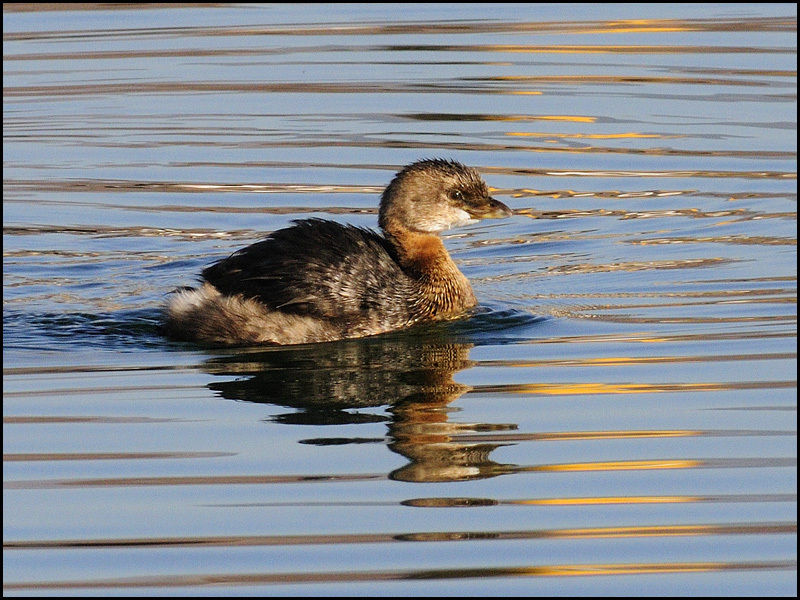 There were two favorite locations for me to photograph these birds, one at Willow Pond; the other, at the "Sandy Fishing Pond". 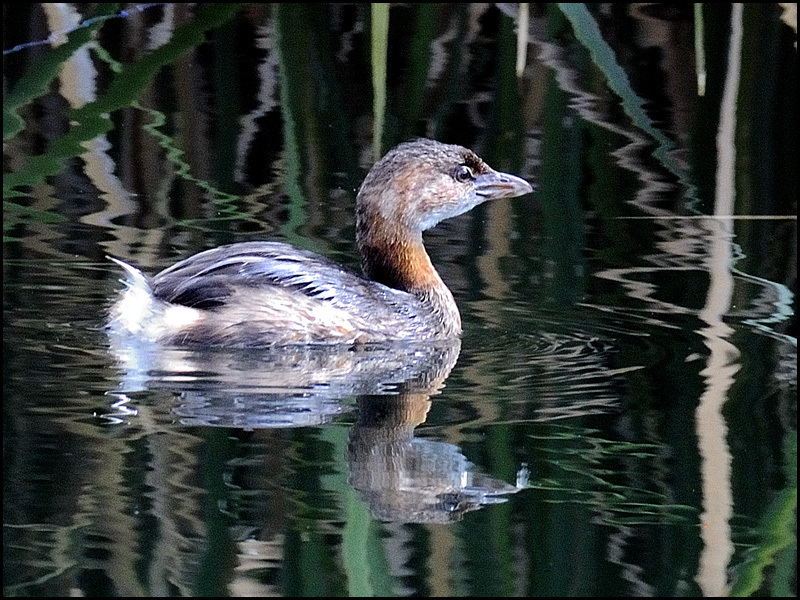 Pied-billed Grebes are also seen on the Jordan River. 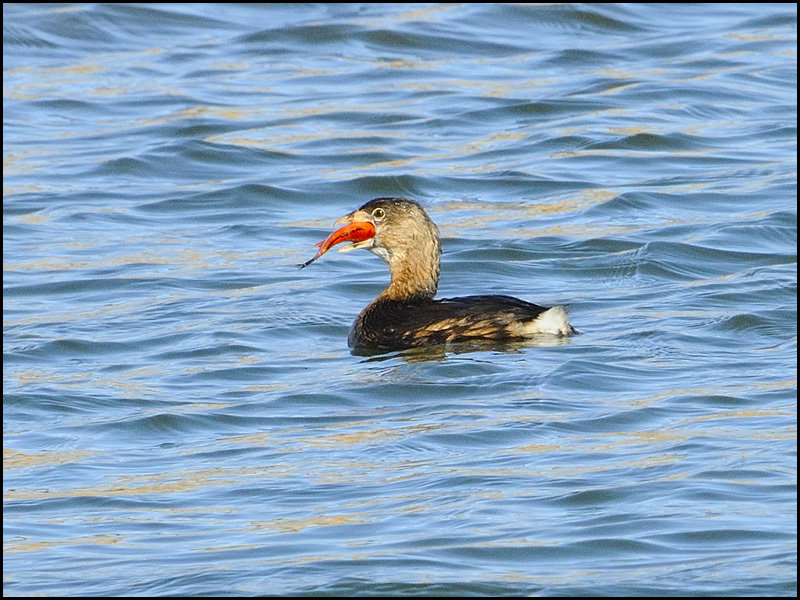 and eradicated an illegally introduced goldfish from the pond! 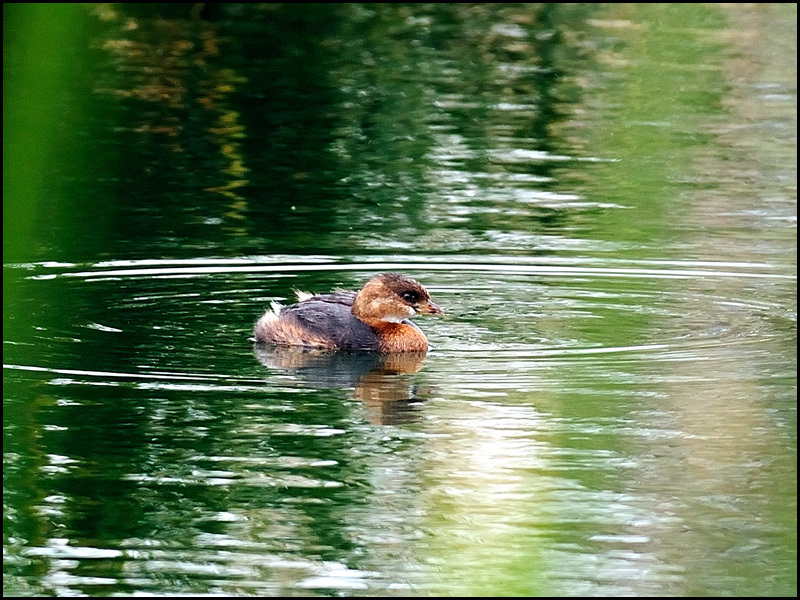 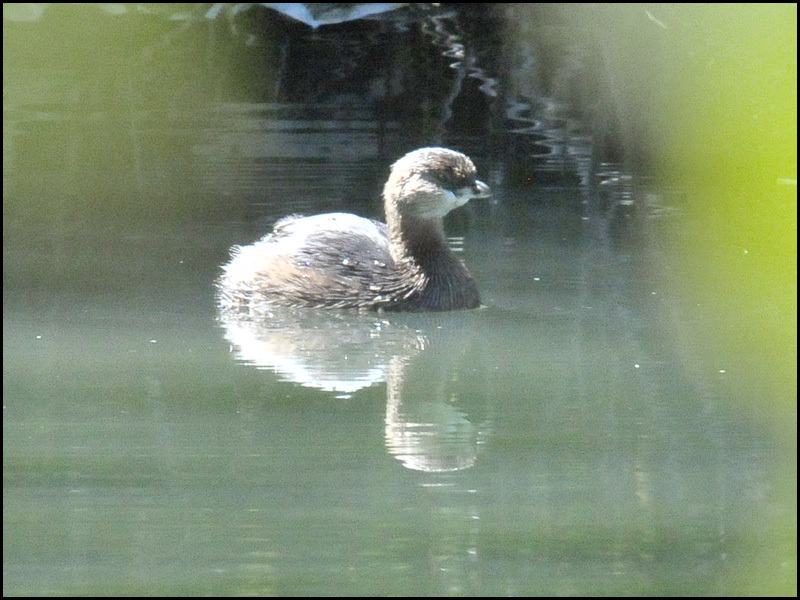 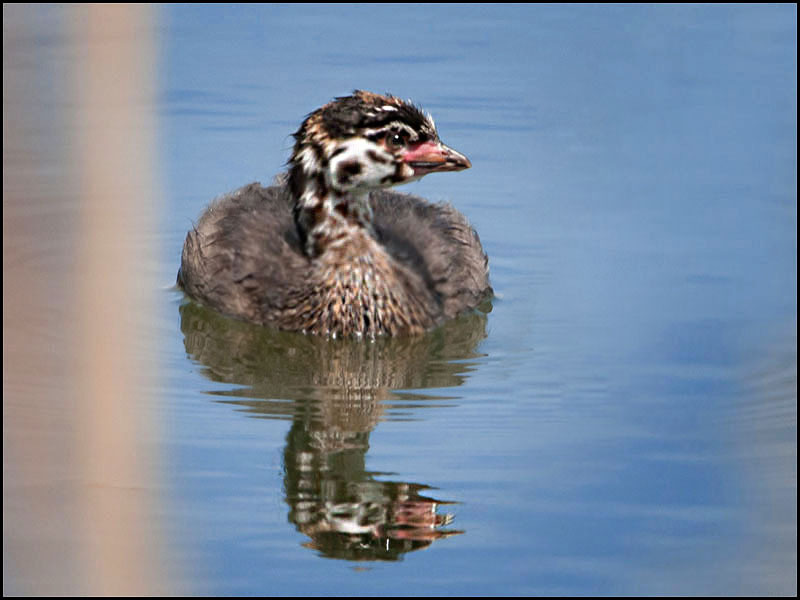 Here is a lone Juvenile Pied-billed Grebe! 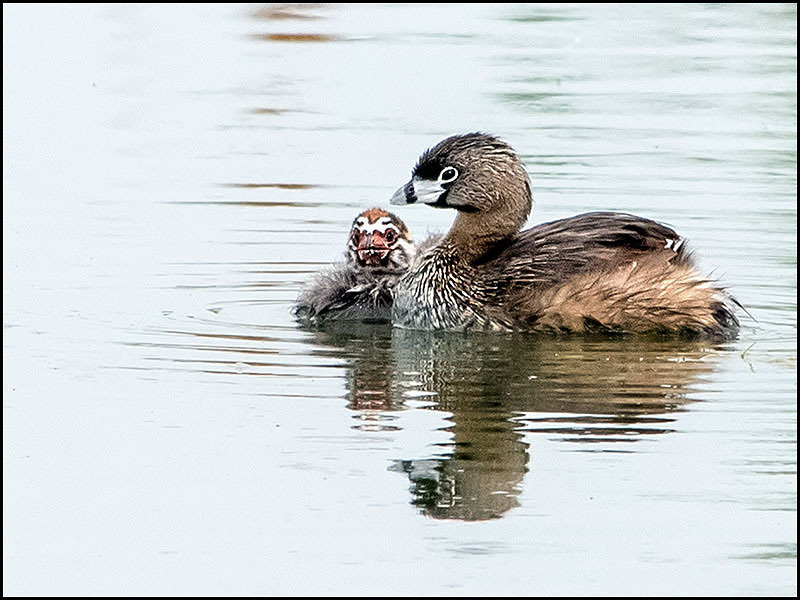 Here is a younger Juvenile with its parent! 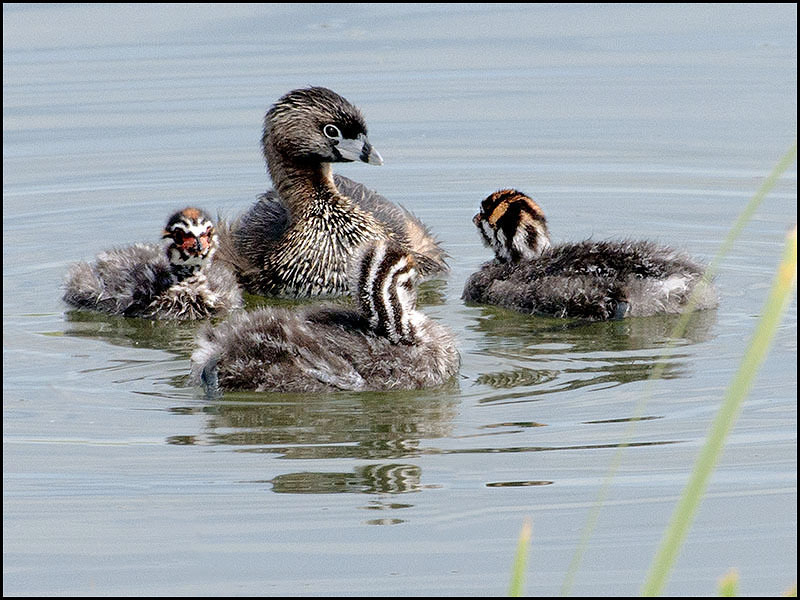 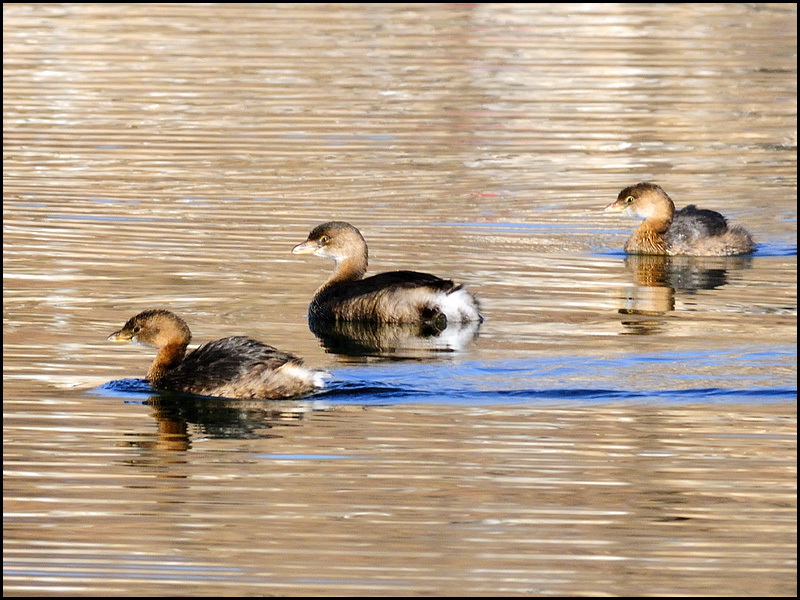 Here are several Juvenile Pied-billed Grebes, with their parent!